- "...Some of the Order"
- "...Some of the Chaos"
Lightning strikes twice in Poland! 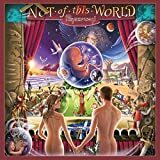 Having recorded what is arguably the definitive prog concert DVD in Poland in 2008, Pendragon returned to the Wyspiański Theater in Katowice in April 2011 with a completely revised set-list. The results are captured on this magnificent document of the event, available this time on either DVD or Blu-ray disc (a first for Pendragon). Once again, the concert runs for over 2½ hours, and again the songs are drawn from right across the band's catalogue. 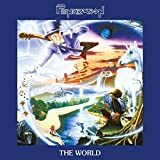 The principal early albums featured are "The world" (3 songs) and "Window of Life" (3 songs) with "The masquerade overture" (1 song) and "Not of this world" (2 songs) also chipping in. None of the songs here, including those from from the recent album "Pure", was performed on "Concerto Maximo" plus we have four selections from the latest album "Passion". 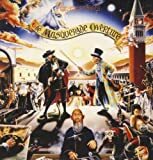 Where "Concerto Maximo" emphasised the symphonic and melodic side of the band, "Out of order comes chaos" is a bit heavier and a bit darker, the stage and backdrop videos being suitably slanted that way. It is all relative of course, and the magnificent kaleidoscope of sounds on which the band thrive remain the over-riding theme once again. The line up remains unchanged from 2008, with drummer Scott Higham now well established not just in his role, but as a key character in the band. He adds some fine backing vocals to several tracks too. The audience seem more up for it this time around, perhaps driven on by Nick Barrett's infectious exuberance. The band's performance is exemplary throughout, Clive Nolan's magnificent keyboard layers and solos being supported by a powerful and enthusiastic rhythm section. Barrett's lead guitar is as distinctive as ever, and it is interesting to hear him talking later about what he himself sees as his unorthodox (in rock terms) vocals. Once again, Metal Mind productions expertise in recording such events transforms the audio and video recording, with multiple cameras and high quality sound capture (both 2.0 and 5.1 surround are included) resulting in yet another sublime product. The extras include an interesting interview with Nick Barrett and a couple of behind the scenes hand held camera productions (one filmed by Nick) which convey both the highs and the drudgery of long distance touring. It is good to see Nick's partner Wilcey getting a mention too, her constant efforts on the band's behalf often being transparent to the masses. A nice touch too is the tribute, both during the concert and in the extras, to the founder of Metal Mind Productions Tomasz Dziubiński, who passed away in December 2010, and who had played a major part in the recent history of Pendragon. Those who already have the wonderful "Concerto Maximo" DVD will find that this set complements that one perfectly. Those whose collection is devoid of Pendragon DVDs, and especially those who have never seen the band live, would be well advised to invest in both sets. 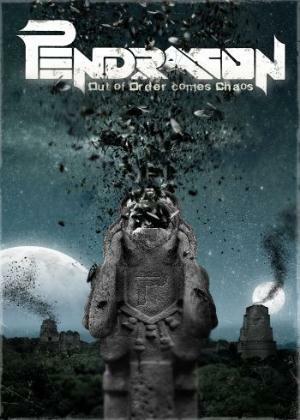 The tradition continue with Pendragon, to do a DVD to Katowice in Poland at the same venue. You can collect the DVD's with a 90% different set list each time. This is their first Blu-Ray and i though that it would be time to have a nice surround mix, but it's not the case here again. This a PCM 5.1 mix with a unpleasant reverb echo. Not that the sound is terrible, but why make a 5.1 mix if it don't add anything. The show contains a lot of songs from the two latests cd's, which show the band incorporated some heavy parts, more obvious in these songs ; "Comatose", "Freakshow" and "Empathy", the latter has even a rap section. "Feeding Frenzzy" tell it all, it's really frenzy! The Passion's CD have been written to fit the new dynamic style of the drummer Scott Higham. The standout track is at the first encore ; "Indigo" who reminds us of the band Arena and Pink Floyd for the Gilmour guitar style of Nick Barrett. 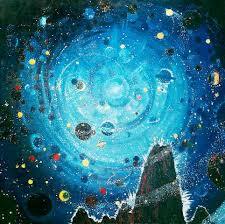 I hope that the band will continue into this direction, because their sound was becoming too polished, and repetitive. It was time to bring some chaos in their music. The Blu-Ray contains also a interview with Nick and a documentary of 45 minutes that it's worth watching one time with Nick behind the camera. 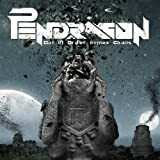 Post a review of PENDRAGON "Out Of Order Comes Chaos"